Fernaig Community Trust received a loan of £43,000 to build a 1.7km long footpath to improve accessibility to the community’s land. Based in Achmore and Strome Ferry in the Highlands, Fernaig Community Trust (the Trust) was set up in 1998 to give the local community access to land and to involve them in decision-making concerning this land; creating economic, educational, recreational and environmental benefits for both residents and visitors. The Trust’s aim is to empower the community to be able to access the land in an environmentally-friendly and sustainable way. The Trust became an early adopter of community land buy out, and by 2001, the Trust had purchased 110 acres of agricultural land for the benefit of the community. Despite the land being used as small holdings for residents to keep animals, fields used for community allotments and mixed woodlands for recreational activity, the Trust came to realise that only a small number of people were benefiting from the land. The Trust decided to develop a footpath that would run the entire length of the local glen to make it more accessible for all. Following full support and input from the local community, the Trust was awarded a Scottish Rural Development Programme grant to begin works on the footpath project. However, after construction had begun, it came to light that the project had a short-term cash problem; to cover the period between making stage payments to the contractor and receiving grant monies. It was then that Fernaig Community Trust contacted SIS to pursue a bridging loan. From their very first contact with SIS, they felt as though the project was being thrown a lifeline as, without the loan, the Trust would not have been able to pay their invoices and, consequently, the project would have been held up. 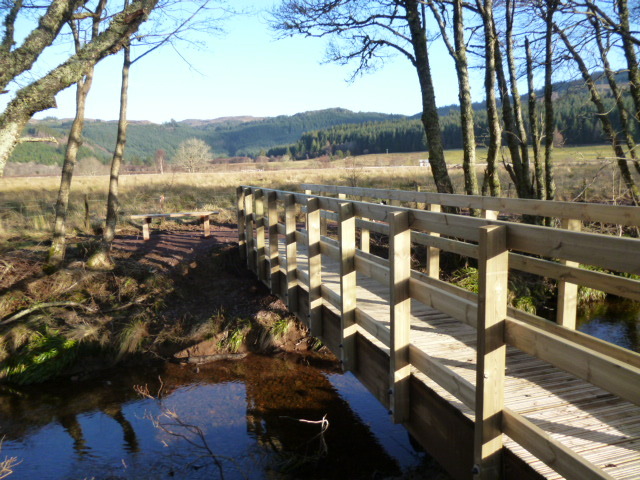 With construction now complete, the Fernaig Community Trust has successfully made the land more accessible with their 1.5 metre-wide and 1.7km long footpath now open to the public. It is being enjoyed not only by the local community but also by those coming from further afield to enjoy the walk.